Flat panel modern kitchen cabinets (“slab”) that are made of veneer wood have become quite popular in the last few years. 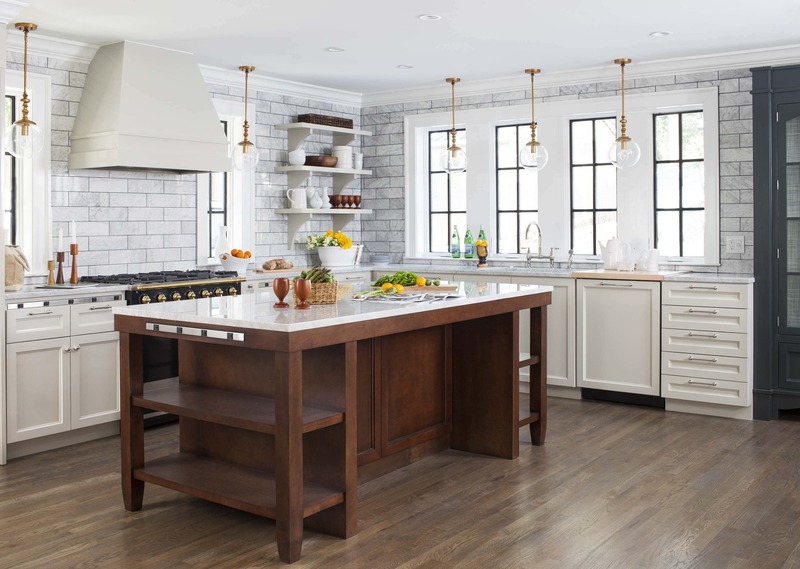 Long a standard of European kitchens, it’s a sleek design now finally finding a place in U.S homes… Slabs of veneer feature exquisite wood grain patterns that make one yearn for the comfort of the great outdoors and nature. But you may have to sift through an overabundance of offerings to find just the right quality veneer, one that does not peel or chip with time. When you do find the perfect match for your home, one that is constructed properly, it can last a lifetime. Once considered too cold to make the move from industrial spaces to inside the home, stainless steel has since been successfully incorporated into modern sleek kitchens with an eye toward the future. 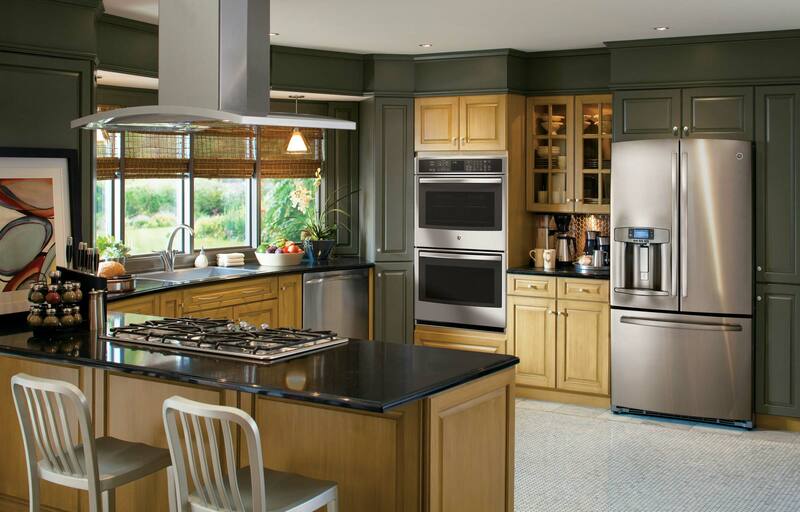 The change started when a greater number of homeowners than ever began implementing stainless steel appliances (a trend not popular in decades). Shortly thereafter a few experimented with adding steel kitchen cabinets. It took a bit of daring, but it worked. Since then they’ve developed highly resistant stainless steel surfaces to protect from the common fingerprints and scratches they would suffer in a kitchen environment. Conservationists prefer them over using wood and they are durable and sanitary. Plus, cleaning them is a breeze. 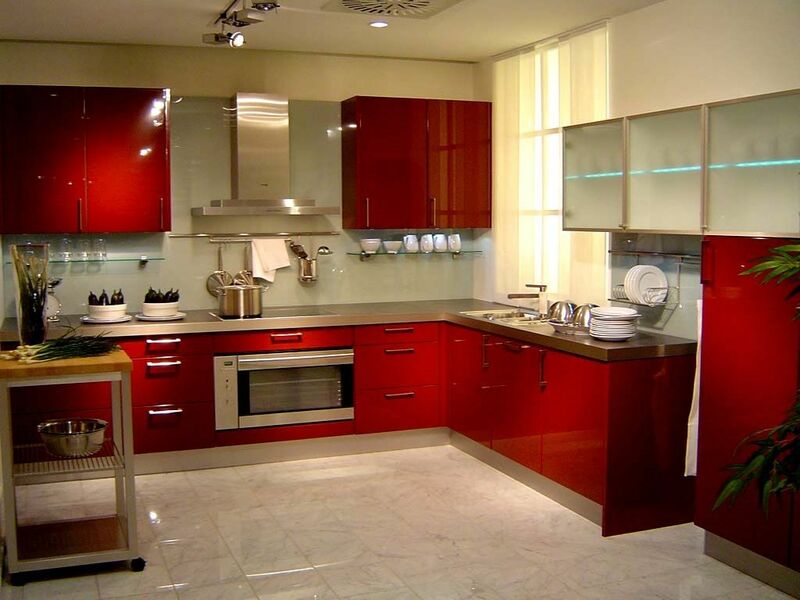 For that shiny and bright feeling, lacquered cabinets are unmatched for creating a lush atmosphere. The stunning appearance is achieved by applying a number of lacquer coats to the cabinets before they are polished and waxed thereafter. They are very durable and scratch resistant though they have been known to chip. They are available in practically any color, and they offer a visual aesthetic that is truly one of a kind. In order to keep up its impressive look, they must be maintained properly, this means regular cleanings. 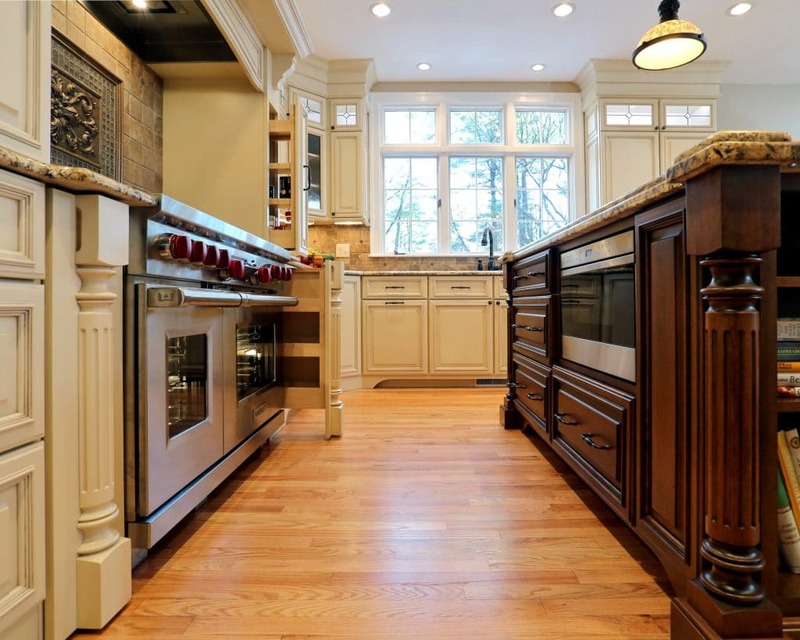 Ask for cleaning instructions, you don’t want to accidentally use a cleaner that contains chemicals that will diminish the luster of these exceptional cabinets. Don’t believe everything you hear, stained wood cabinets are not resigned to solely being products of the past. In fact, wood grain as a style has been a staple of kitchens for hundreds of years and there is no indication that it will ever go away. Besides, who said that the wood needs to be finished in the traditional shades of brown, red or beige? These days, anything goes. 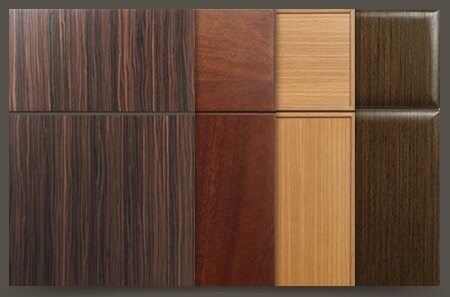 In fact, anything is possible – how about a wood textured cabinet finished in a green, blue, or pink tint? The cabinet’s unique grain is a focal point and the color serves to lively up the room. This is the perfect way to make smooth slab doors the ultimate in up to the minute style. 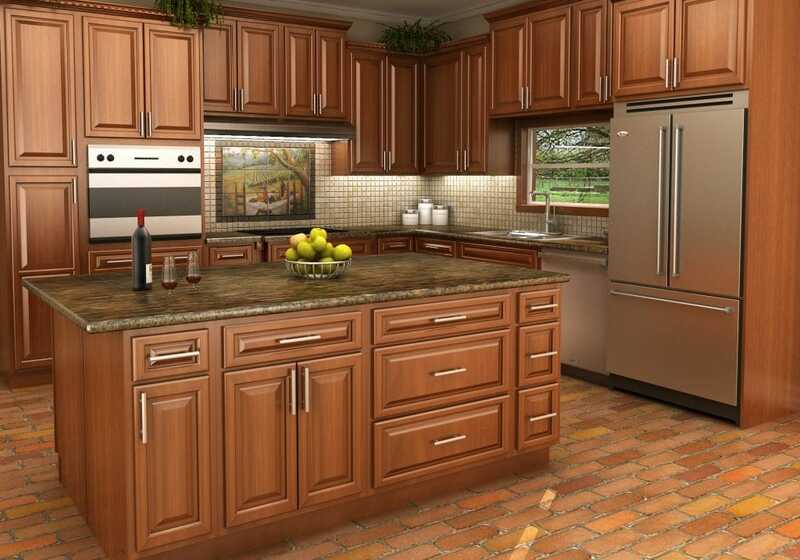 If you want to be really bold and make a true kitchen statement, how about taking your upper kitchen cabinets out? You’d be creating an extremely modern and open space. Think of the types of attractive and tall backsplashes you can add thanks to your artistic sensibility. You’d have to consider the main disadvantage, of course – a lack of storage space. Obviously this immediately excludes the majority, as storage is at such a premium. But the design possibilities are really quite intriguing. So you like what you see. In fact, that’s the problem, you like everything you see. You’ve pondered, you’ve debated and yet you’re unable to narrow it all down to a single choice. Here’s what you do – create a unique mix of the ones you like best as a truly unique artistic statement. The possibilities are endless and exciting – you may even enlist the assistance of an interior designer, Sometimes it’s a thin line between genius and gaudy. You want a modern, maybe minimalist kitchen, not a reject from the traveling carnival! And that’s the lesson to take from this, what is modern depends on you – what new ideas or combinations can you implement? Today’s modest innovation may become tomorrow’s bandwagon trend.